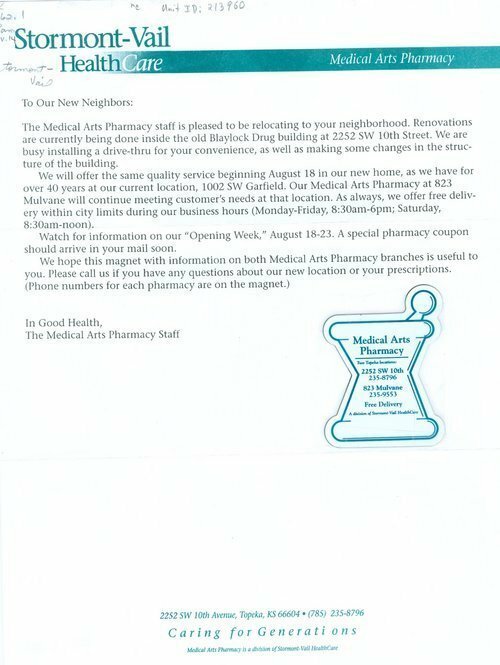 This letter from the Medical Arts Pharmacy of Stormont-Vail Health Care announces its move to a new location in Topeka, Kansas. The new location is the former Blaylock Drug building at 2252 Southwest 10th Street. Attached to the letter is a magnet shaped like the traditional mortar and pestle pharmacy symbol; it advertises the new location information.